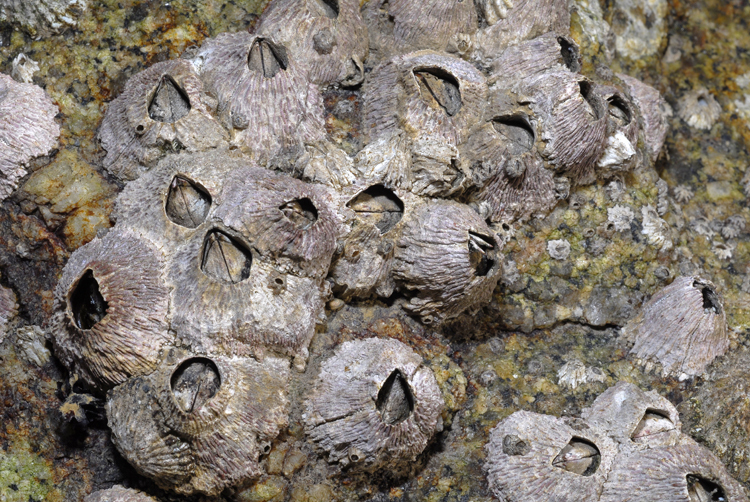 The ribbed barnacle chosen here as a representative of several genera of barnacle-like animals. They all live near the low water mark, although some may occur to great depths. The shape of the animals is conical to tubular, with calcareous plates. The color may vary from white to brown. Size: up to 3 cm. Sessile, attached to any surface, wood or stone, man-made or natural. Depth: ranges from around the low water mark down to 40 m.